Y’all already know that here, at I Love Old School Music, we pride ourselves on being the official TRUTH diggers, who are always diggin’ for truth about our favorite Old School celebs. This little known fun fact you’re about to witness, is yet another gem we’ve dug up, that just may make you go, ‘Say what now?! !’…as it did for us when we first found out. “I’ve been singing all my life, from childhood, in church I grew up…coming from a musical family, it’s in my blood. So it’s something that I could never and would never want to escape and being raised around a lot of the greats- Chaka Khan’s my aunt, and Rick James, and of course the incredible McCrary’s, which is my family- it’s sharpened me and it’s become my love and my passion” says Darius. Who would have ever thought that the teenage kid from “Family Matters” was the nephew of a soul legend like Chaka? Darius said that he comes from a very musical family- his dad, Howard McCrary, is a singer/musician and what’s even more surprising (well it’s only surprising if you didn’t watch “Family Matters” back in the day) is that Darius’ singing skills and musicianship are off the chain. He’s released several singles throughout the years that can put a lot of these other so-called R&B artists of today on their faces. Here is a clip of Darius singing now and that brotha’s voice has only gotten better with time. He can really SANG, just like his aunt and the rest of his fam.’ Check this out..
As if that wasn’t interesting enough, you may recall that Darius was one of the few men bold enough to actually marry ex-hip hop groupie/author, Karrine Steffans in 2009. At one point it seemed like their sudden marriage was very solid and loving, until “hurricane Karrine” started doing what she’s known to do and that is put the men in her life on public blast to the media for publicity gain. Darius and his then-wife Karrine Steffans. They were married from 2009-2011. 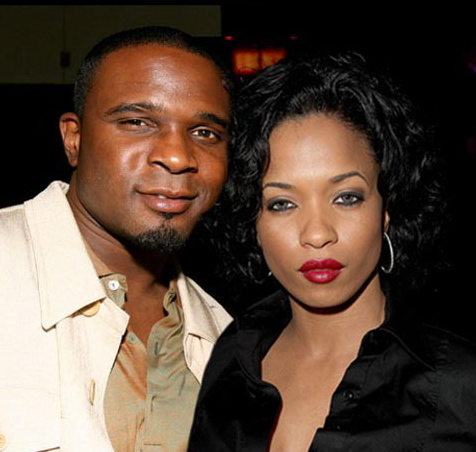 So as you can see, Darius McCrary has led a pretty interesting life, starting with his mega talented family, to his interesting choices in soul mates, to his current passions – music and acting. The brotha’s done well for himself overall and we look forward to seeing what else he has in the works. Wow! Rolonda Watts Reveals What Her Ex AL B. SURE Shockingly Did For Her!